#BlurtChats We Asked: How Important Is Your Bedtime Routine To You? On the 2nd Tuesday, of every month, we’re live on Twitter at 8pm (GMT) to facilitate a conversation about a topic related to mental health. Here’s a round-up of February’s Twitter Chat: How Important Is Your Bedtime Routine To You? On my really bad days, I've associated going to sleep with bringing me another bad day. This would mean I'd avoid going to sleep until as late as possible so tomorrow didn't come sooner. Missed out on #BlurtChats But sharing things helpful to me at night could help someone else. I use @Tisseranduk destress oil & @TempleSpa Repose cream before bed. Regular apps for sounds/meditation @InsightTimer @calm @Headspace and a journal if needed to empty my mind ? Wow the past hour has gone SO quick!!! We have had such a wonderful evening chatting with all you amazing peeps. We’ve got oodles of great new bedtime tips from this #BlurtChats and we hope you have too. 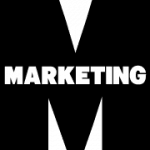 The best bit about a Twitter Chat (you can find our upcoming schedule here), is that anyone with a Twitter profile can join in the conversation. And because it’s live, the hope is that it’ll be a buoyant hour which will be jam-packed with discussion, connection, advice-sharing and empathy. At 8pm on the day of the Twitter Chat, we’ll tweet a welcome message to signal the beginning of the chat and post our topic question to get things going. 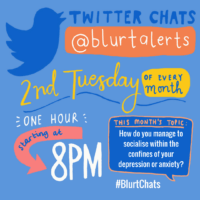 We’ll use the hashtag #BlurtChats in all our tweets and it would be really helpful if you do the same in your replies – so that we can keep tabs on the conversation and reply to/re-tweet as many as possible. If you don’t feel comfortable in taking part, we completely understand – please don’t beat yourself up about it, these things aren’t for everyone – we hope though that it might still be an insightful conversation to listen in on. #BlurtChats: What helps you get through the Winter months? #BlurtChats We Asked: Why do you think there’s still such a taboo about taking medication for mental ill health? #BlurtChats We Asked: How Do You Manage To Socialise Within The Confines Of Your Depression Or Anxiety? #BlurtChats We Asked: What Words of Comfort/Advice Would You Give to Someone With Depression?